After NHS Accreditation, Rokshaw Laboratories is well positioned to provide a Specials service that delivers value to the NHS without compromising our outstanding product quality and service levels. Our ethical and transparent approach to the manufacture and supply of Specials, has seen our portfolio of hospitals grow around the UK. We work very closely with hospitals to provide bespoke unlicensed medication that meets the exact needs of their patients’ including excipients, flavours and dosage forms as well as providing peace of mind with supporting quality documentation. 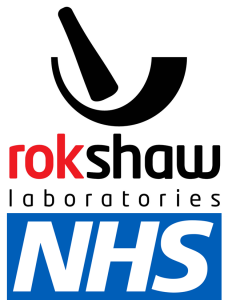 Also with our ongoing work in improving product stabilities and formulations using cutting edge technology, as well as providing all products on a free next morning delivery as standard, Rokshaw Laboratories is now a trusted manufacturer of Unlicensed Medication for Hospitals across the UK. If you are a Hospital looking for a trusted Specials Manufacturer, please contact us today to see what we can do for you!